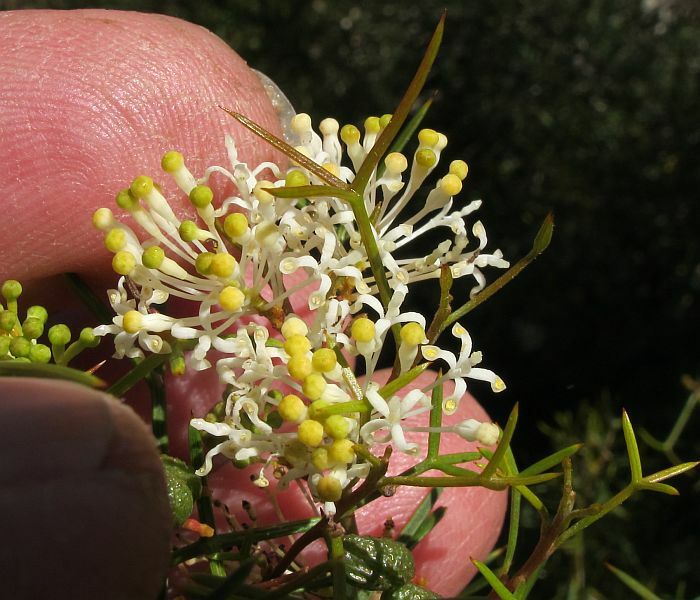 This species is a handsome bushy shrub to 2 metres (over 6’) in height with creamy white flowers and finely divided foliage. 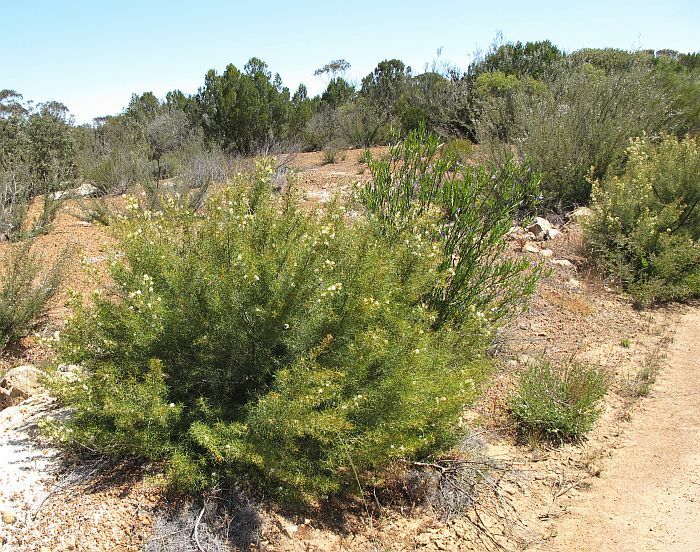 Around Esperance it favours silt/sand loams over limestone and is usually encountered near roadside culverts and river/creek flood zones where soils are mostly well-drained, but may become inundated for short periods when waterways are in flood. 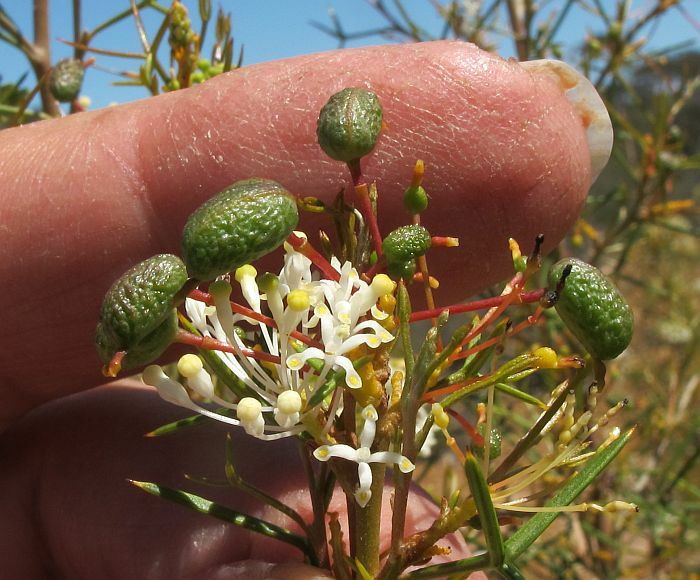 In WA Grevillea anethifolia has a scattered distribution from the NE of Esperance, then to Lake Grace, Southern Cross and Zanthus (on the Nullarbor), it is also found in SA and southwest NSW. In WA there is another very similar looking Grevillea (G. paniculata) that is further west and northwest from this species. The most obvious difference is G. anethifolia has hairy branches, covered with straight white, vertically appressed hairs, whereas the branches of G. paniculata have none. 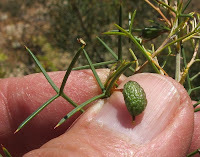 Also the style summit of G. anethifolia is truncated, but pointed in other species. Yet another similar looking species (G. biternata) occurs further north again, but is a considerable distance from the Esperance region. The flowers although numerous are reasonably small and therefore probably pollinated by insects. 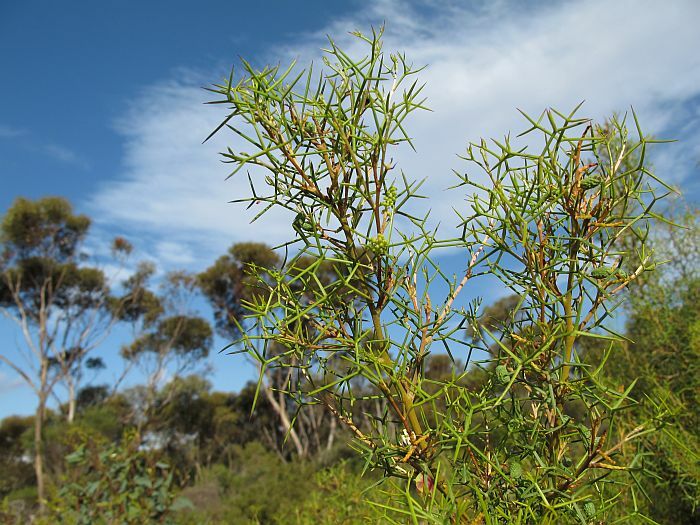 Nevertheless, the shrub is quite ornamental being enhanced by the fine (slightly prickly) divided foliage. 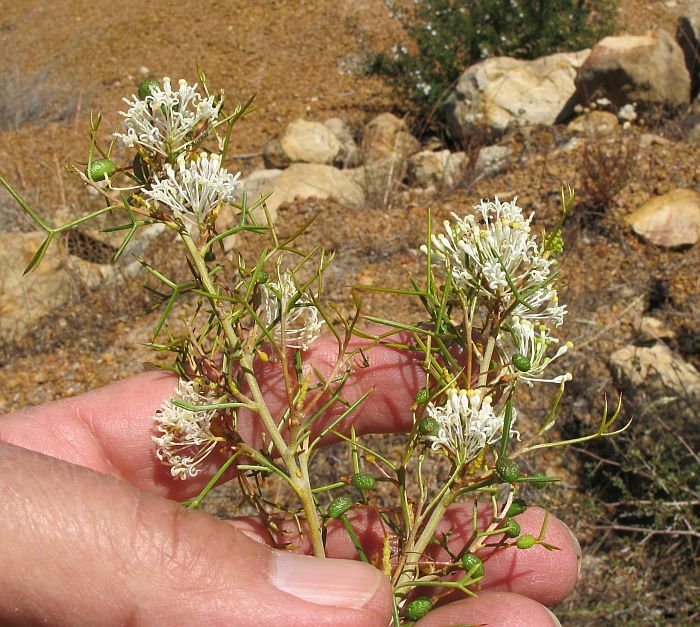 Flowering time varies depending on local rainfall, but is recorded from August to December, although when weather conditions are favourable, plants can flower at least twice during this period.